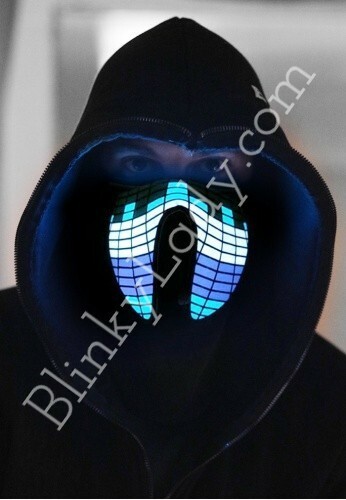 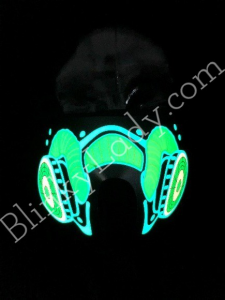 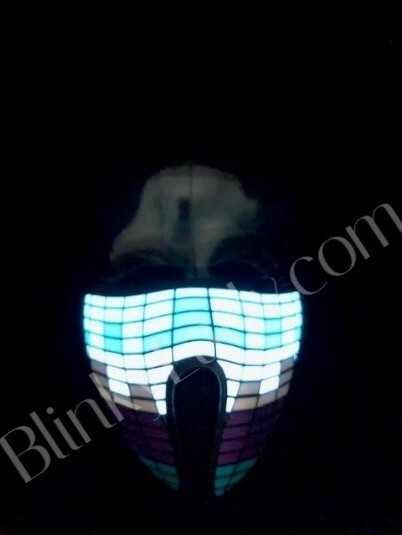 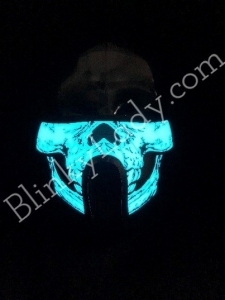 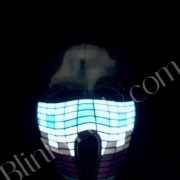 Activated by sound this mask is perfect for anything from RAVES, Halloween, Haunts, Night Skiing or Bikers! 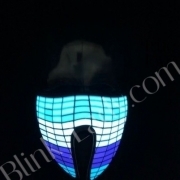 The EL technology offers bright lighting and the sound activation ROCKS! 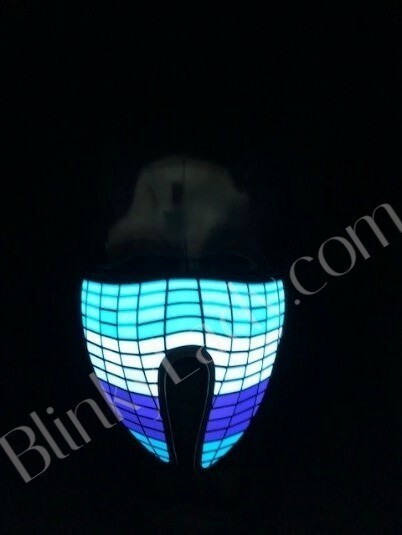 Controlled by a dimmer switch the light display allows you to choose the sensitivity to surrounding sounds, music or talking. 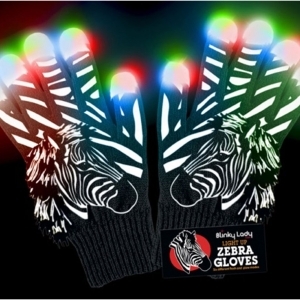 Looks great on or off! 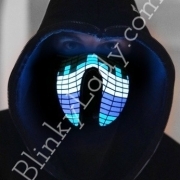 Images may subject to copyright. 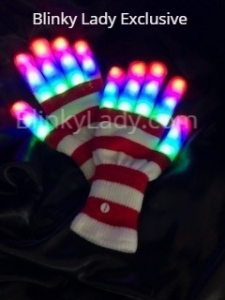 Requires 3 AAA batteries (not included) and has easy on/off switch and Velcro closure.